Ancelotti asked several times for Napoli’s match at Inter Milan to be halted on Wednesday after racist chanting. Announcements were made on the stadium tannoy system warning fans that would happen but no further action was taken. Ancelotti believes the inaction by officials led to the dismissal of defender Kalidou Koulibaly 10 minutes from time. 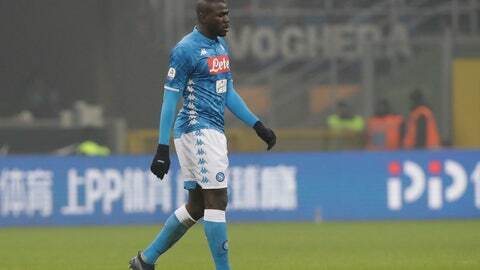 The Senegal international, who had had monkey noises directed at him throughout the Serie A game, received two yellow cards in quick succession, the second for sarcastically applauding the referee after being shown the first. “I’m sorry about the defeat and especially to have left my brothers! But I am proud of the color of my skin. Of being French, Senegalese, Neapolitan: a man,” he wrote. It is the latest incident of racism to blight Italian football. Sulley Muntari walked off the field during a Serie A game in April 2017 in response to racial abuse. The Pescara midfielder was infuriated after unsuccessfully trying to get the referee to halt the game at Cagliari.